This couple married twice to show their love and respect for each other’s cultures. 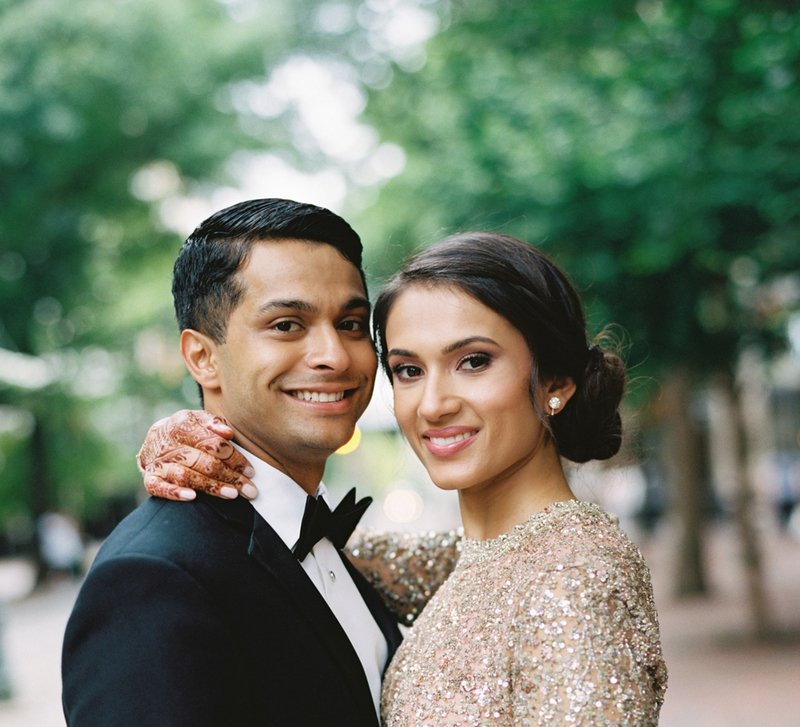 Until her wedding, one of the most memorable events of Jenna’s life was when she and Tushar met for their first date at a coffee shop. As a tribute to that special occasion, she integrated a cup into her mehndi design. Check out some other charming details of this cross-cultural wedding. Jenna met Tushar on Match.com, an online dating site in March 2015 when they were both living in Portland, Oregon. After a few interesting conversations online, they made plans for a coffee date and hit it off immediately when they met. It had been Jenna’s dream to get engaged in India and Tushar made sure her wish came true. He proposed to her on a joint trip to India - and she was ecstatic! The couple had two ceremonies, each one a tribute to their respective cultures. 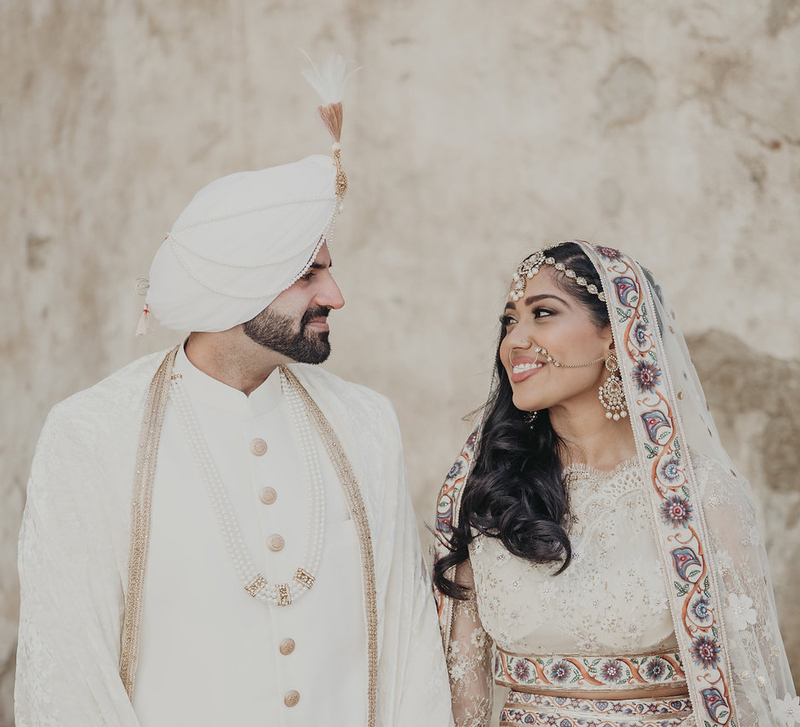 The Hindu wedding took place at the Radha Krishna Lotus Temple while the Christian ceremony at The Paseo located in Apache Junction, a city where Jenna spent her childhood. 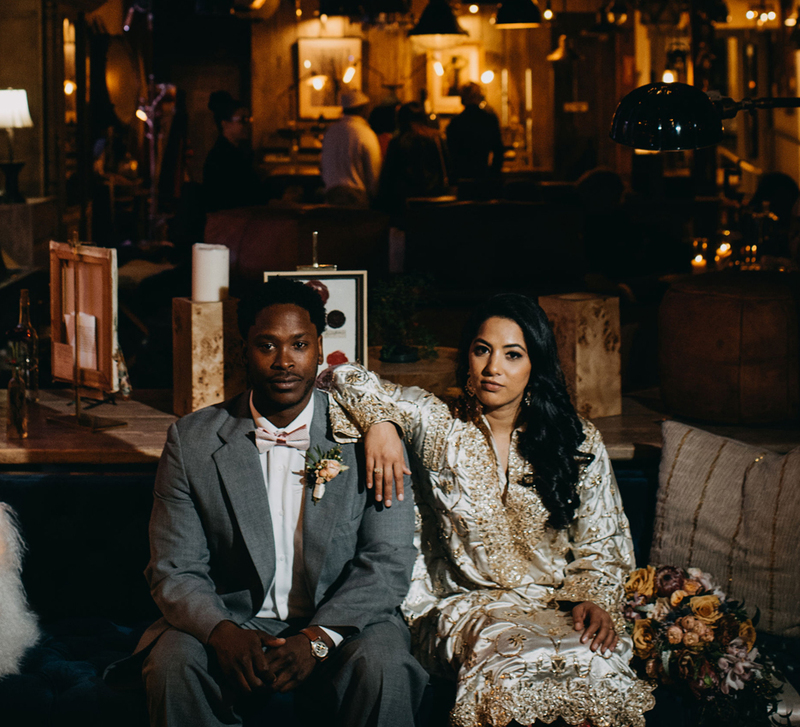 When they toured the venue, the couple fell in love with it and the emotional connect that the bride-to-be shared with the locale helped seal the deal. 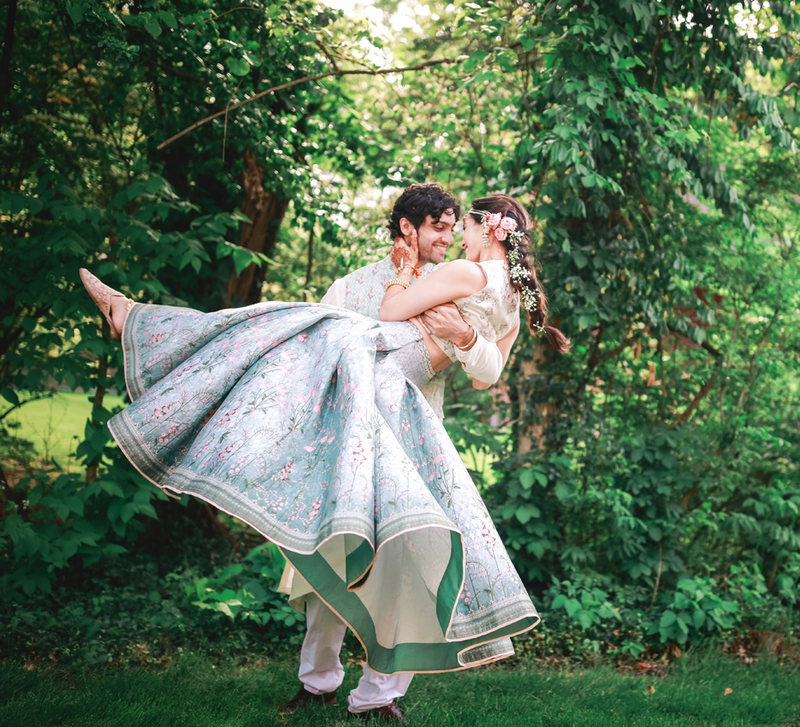 While sharing her wedding planning experience, Jenna said that the Indian population around their wedding venue isn’t very big which made it hard to find vendors. However, with the help of their friends, they got some great recommendations and eventually managed to create a team who executed everything they wanted and more on their special day. The couple was very keen on making their Hindu wedding a spiritual affair that was rooted deeply in tradition. Thus, they chose the Radha Krishna Lotus Temple over a hotel as a venue. Keeping in line with the mood of the ceremony, they added lots of bright colors, such as cobalt blue, orange, pink, and purple into the setting. Their ceremony at The Paseo gave them the opportunity to use their imagination when it came to decorating as the backdrop of the desert worked as a wonderful blank space. The celebrations included a lively flash mob performed by Tushar’s family as well as a beer burro (donkey cart). The pair wanted to ensure that their guests had a memorable night so they brought DJ Adi on board who made sure that everyone stayed glued to the dance floor.